In 2014, Apple will focus on fitness tracking and mobile health applications, if a recent report from 9to5Mac is accurate. 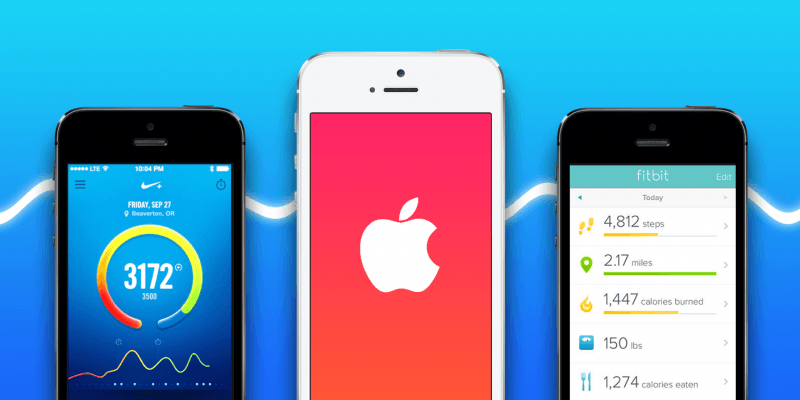 According to the site's sources, the most significant additions to come in iOS 8 will focus on health and fitness, and its release may be accompanied by Apple's long-awaited 'iWatch'. A new application to feature in iOS 8 is expected to be named "Healthbook", and will be capable of monitoring fitness statistics, such as calories burned, steps taken and miles walked, as well as help manage weight loss. When paired with the right sensors, Healthbook will also monitor vital signs, including blood pressue, heart rate, hydration levels and potentially glucose levels. Medication alerts, integrated with the Reminders app, is something else we may see. So where will the sensors be located to track vital signs? While the iPhone 5s' M7 co-processor has the ability to track motion, it's rumored that heart rate, hydration and pressure sensors will be integrated into the iWatch. When iOS 8 is paired with the iWatch, "several other pieces of health and fitness data" can be monitored, although specifics haven't been revealed. It's not too surprising that Apple is planning to tackle the health and fitness technology market. CEO Tim Cook mentioned last year that soon "the whole sensor field is going to explode", while the company has been on a hiring spree, recruiting health, medical and fitness experts for various projects. Apple even promotes a range of health technology projects in their retail and online stores.